It wasn’t a casual comment, but a carefully reasoned statement, which did and still does make a lot of sense. Certain things—like obscenity—vary considerably across time, locale, and situation. And another such thing is trust. – I trust my dog with my life—but not with my ham sandwich. – I trust a stranger to sell me a book on Amazon—but that doesn’t mean I’ll introduce my daughter to him. But business these days doesn’t like subjectivity. The business community has come to insist on things like best practices, diagnostics, rankings and ratings, and—above all—behavioral indicators that can be metricized. Because we all want to know how we’re doing, where we’re going, who’s doing best at it, and just how you know if you’re doing it right. You can’t manage it, after all, if you can’t measure it. The business community has gotten hooked on the corporate equivalent of self-help manuals. You know what’s next. 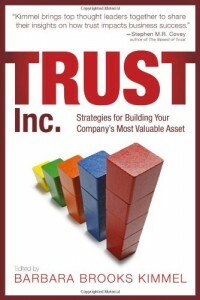 Ten Easy Steps to being a Highly Trustworthy Company. Sign up for your Corporate Trust Ratings. Become a Certified High Trust Company. You get the picture. Beneath this rush is almost always the notion that One Size Fits All when it comes to trustworthiness at the corporate level. Trustworthiness is a "thing." Someone has the key to it, and others don’t. For the philosophers out there, the operant belief is that there are Platonic Forms for things like Trustworthiness, Engagement, and Leadership. But in these matters, Potter Stewart was more right than Plato. The bigger truth is–it depends. It’s not that the emperor has no clothes–it’s that he has more than one wardrobe. Who is more trustworthy: Apple Computer or Amazon? Fidelity Investments or American Express? Singapore Air or Dell Computer? These are not sensible questions, I suggest, taken out of context. It depends–on whether you’re talking to customers or to employees. On whether you’re talking about reliability or other-orientation. About transparency or collaboration. About last year or about this year. About a major transaction or about a corner-store impulse purchase. About your car or about your oncologist. One attribute commonly associated with trust is transparency—but that’s not Trust Virtue One if you’re the CIA. Teamwork may be a trust virtue for the US Army—but not for a law firm of litigators. 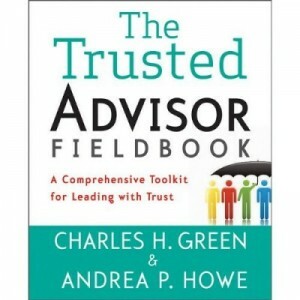 At a personal level, you can make some generalizations about trustworthiness: I’ve done so myself in my Trust Quotient self-assessment survey. But even there, I caution against reading the raw results without the context. At a corporate level, trying to define the most ‘trusted company’ with a one-size-fits-all set of metrics is a fool’s errand. That doesn’t mean it isn’t a useful, valid, and meaningful exercise. It just has to be done situationally, in context. Like obscenity, we regular plain old human beings have no trouble recognizing trust when we see it. We don’t need a scalable model to understand it. Attempts to force-fit trust into behavioral indicators that can be rank-ordered, weighted and incentivized are akin to the US movie ratings system. The ratings tells you more about the rater than the thing being rated. The Supreme Court already figured this one out and wisely gave up the force-fit approach. At higher levels, such as trust, life overflows the petty boundaries we try to impose on it in the vain belief we can “manage” it. Like a giant wave, we’re far better off surfing it than trying to control it. Trustworthiness? Or the Appearance of Trustworthiness? Are current regulatory discussions increasing real trustworthiness in financial markets? Or just the appearance of trustworthiness?